Unwanted Toolbars Can Slow Your Browsing Because It Can Hijack Your Homepage And Search Engines.Toolbars Can Get Installed From Others Programs In Installing Setups And Toolbars Decrease The Speed Of Browser. 2 : Go To Menu, Hover Over More Tools (Present Above Exit) And Click On Extensions. 3 : Select Unwanted Toolbar And Click On Remove. 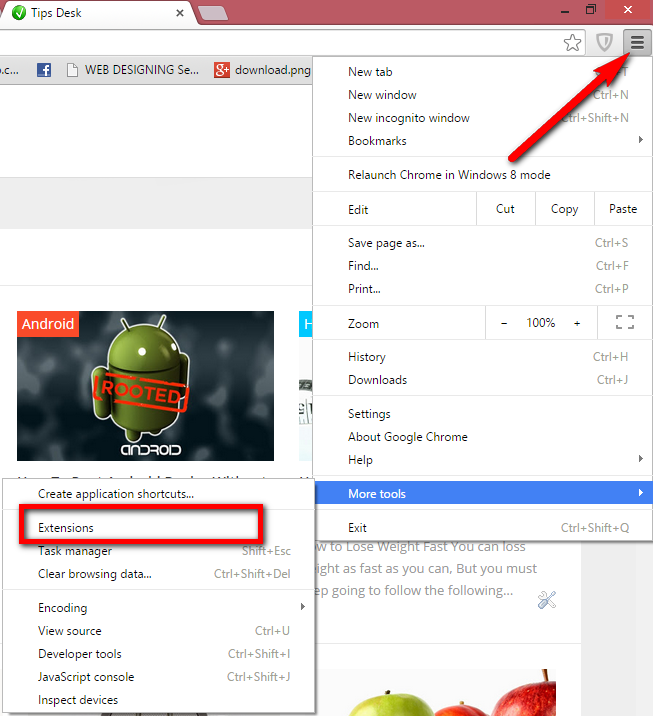 No Comment to " How To Remove Unwanted Toolbars From Google Chrome "